On August 17, 2018, Courses (powered by Sakai) was upgraded to version 12.3. This upgrade has accessibility improvements and performance enhancements for the Assignments, Tests & Quizzes, Gradebook, and Lessons tools. 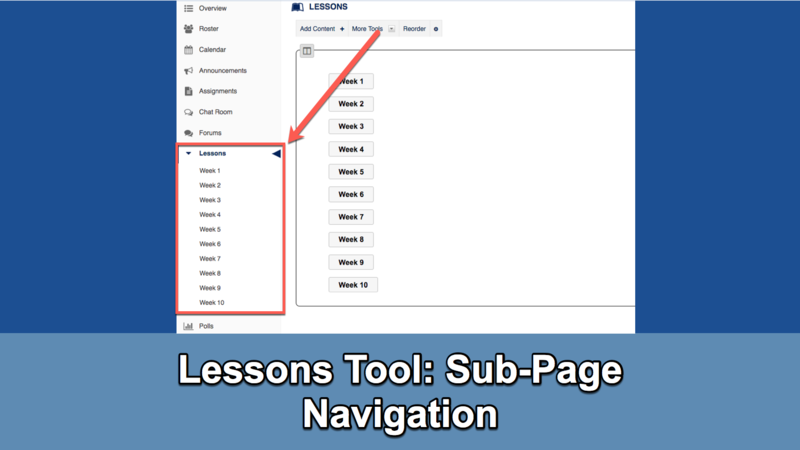 Leverage sub-page navigation on the Lessons tool to reduce the number of clicks within your lessons. 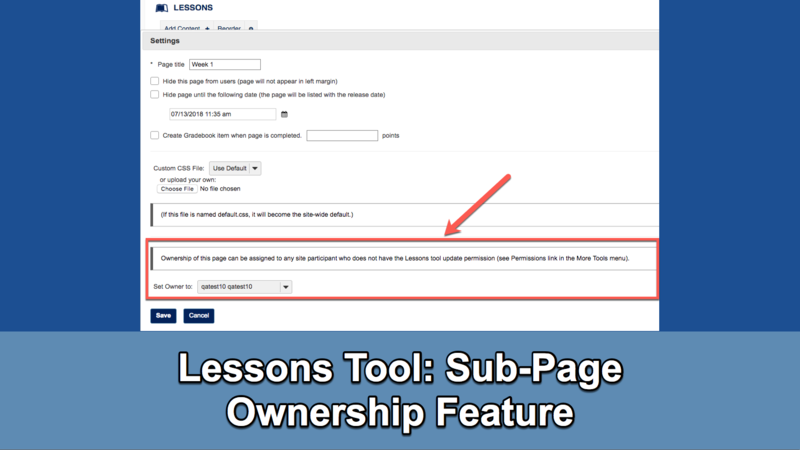 Grant individual page-ownership on Lessons tool sub-pages to students, teaching assistants, and other course site participants. 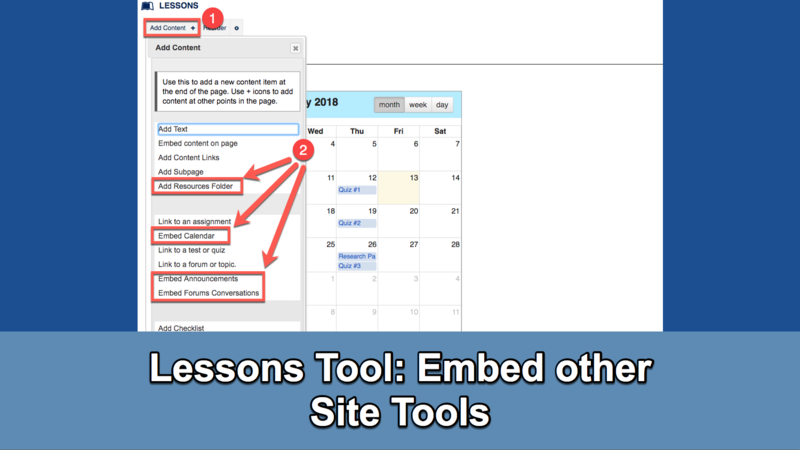 Integrate elements from other course site tools like the Calendar, Resources, Forums, and Announcements. 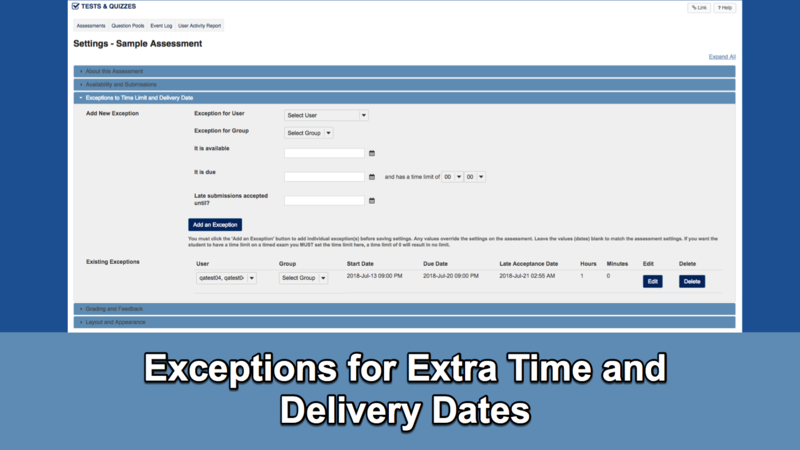 Configure an assessment with exceptions on availability and time duration for specific students or groups. 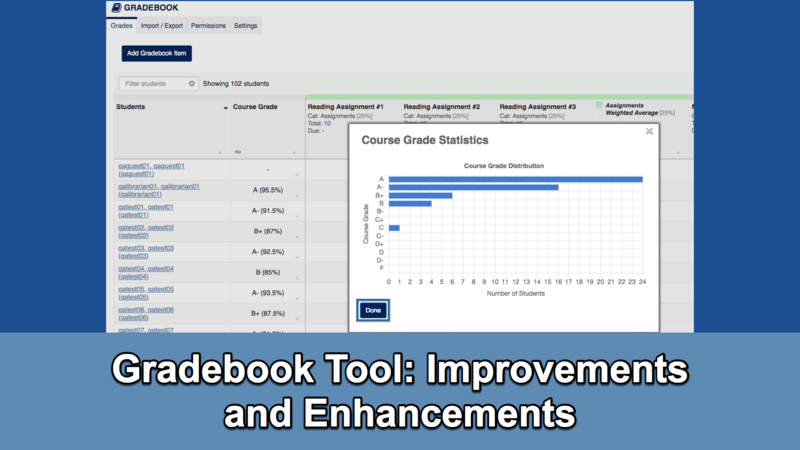 Leverage new user-interface enhancements, including the new course grade statistics feature and item order functionality. 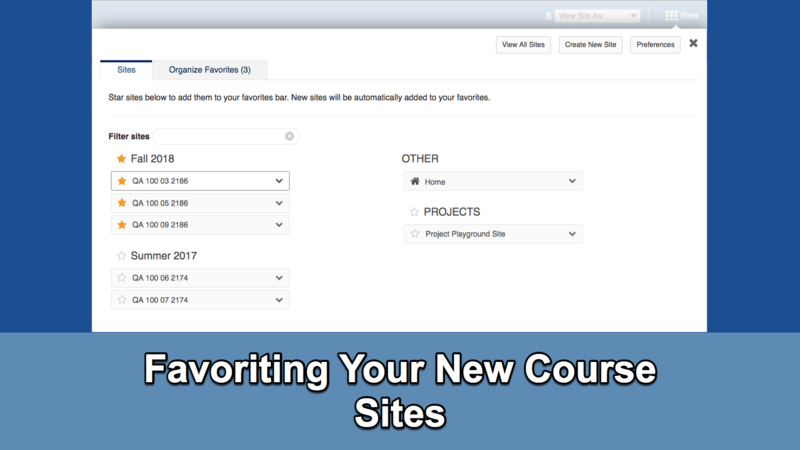 Manage your favorite course sites easily by term or by individual site. Interested in watching a recording of one of the webinars? Watch one of the 1-hour webinars. The Courses community is continuously developing and improving the Learning Management System (LMS). Do you have ideas on how to advance teaching and learning using Courses? Let us know by completing our feature request form. After the upgrade, users will need to clear their web browser cache to see all of the new changes. Learn how and why it's important to clear your browser cache.